Be enchanted by our large collection wedding jewelry and jewelry sets! Chique, unique and especially designed for SYTTD. Get the Glam and Shine with the delicate pearls and Swarovski crystals. A bridal necklace, wedding bracelet or stunning pair of earrings - find everything you need to complete your look. When the wedding dress has been bought and you’ve thought about the bridal lingerie and bridal shoes, your wedding dress also deserves the most beautiful finishing touch with bridal jewelry. Sparkling, shimmering and shining; that’s what you expect of wedding jewelry. Our collection of bridal jewelry has been made with much care and love, especially for you! You have picked your wedding dress with the same care and love, and with that belongs bridal jewelry with the highest quality and made of the best materials. Be enchanted by our luxurious wedding jewelry. Chique, unique and special designs for Say Yes To The Dress. You can expect a high quality and the best materials from us. The locks are made of Sterling Silver 925 and the Crystals is by Swarovski. The total collection of bridal jewelry sets is perfect to combine. Mix & Match and create your own original style. What do you choose? A complete set of a wonderful bridal necklace with pearls and strass, combined with matching bridal earrings and a bridal bracelet. Is that a bit too much? You can also rock with a pair of luxurious Swarovski dangle bridal earrings. 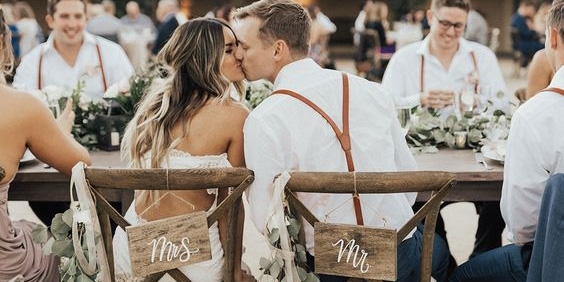 Does your wedding dress have a beautiful neckline, and is a bridal necklace too much? You can then wear a stylish bridal bracelet with matching bridal earrings. Make your bridal jewelry complete with a bridal necklace, a bridal bracelet or bridal earrings of Say Yes To The Dress!